With the true gravity of the Auckland City Rail Link $1 billion cost blow-out now revealed what options does Auckland Council have to pay for it? 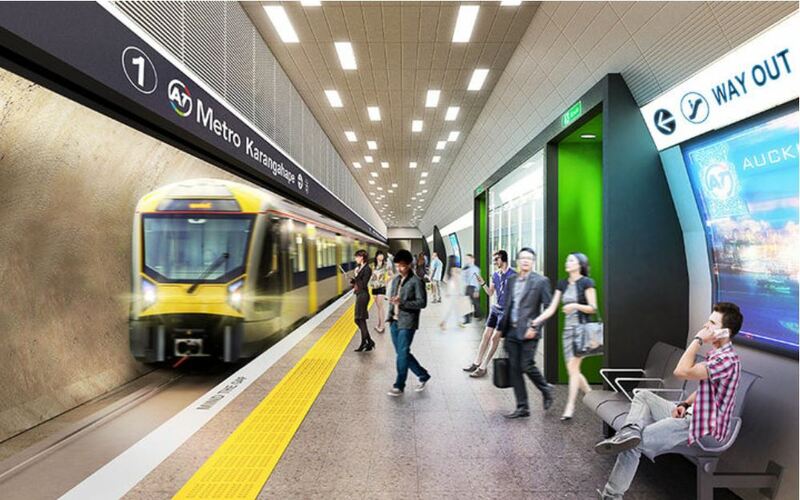 The project is being jointly funded by the Government and Auckland Council, and was originally expected to cost $3.4 billion and scheduled for completion in 2024. But at a press conference on Wednesday City Rail Link chief executive Sean Sweeney announced the new revised estimate for the project has ballooned out to $4.4 billion and it is now planning to ask the Government and the cash strapped Auckland Council to pay for the shortfall. Decisions by the Government and Auckland Council regarding the cost blowout are now expected to be made next month. “The $1 billion cost increase on the previous $3.4 billion estimate made in 2014 reflects significant changes impacting the project in the past five years,” Sweeney says. Transport Minister Phil Twyford and the Auckland Council had both refused to confirm or deny previous reports about the cost blow out citing commercial sensitivity around the awarding of a contract for the next stage of the project. But on Wednesday the tender for was finally unveiled long with the burgeoning costs of the project. In a statement to the NZX on Wednesday Auckland Council says it has identified a range of potential initiatives which would enable its share of the cost blowout to be met within current debt policy limits. – Flexibility around the timing of Auckland Council’s CRL contributions. Auckland Council’s Governing Body will consider budget decisions in response to the funding requirement on May 2. Auckland Council’s latest financial update projected debt will be below its $9 billion target for this financial year. But with just $1.2 billion of debt headroom below its debt-to-revenue ceiling of 265%, Auckland Council’s ability to just absorb the costs by taking on more debt could be a squeeze. And a credit downgrade by Standard’s and Poor’s and or Moody’s could be a real possibility. Auckland Council currently has a credit rating of AA with Standards and Poor’s and Aa2 with Moody’s. Sweeney says CRL Ltd.’s own cost review underwent a rigorous examination by two international assessors to ensure the project delivers the best value for money for Aucklanders. After an exhaustive competitive tender process, the Link Alliance was announced as the preferred bidder for the next stage of the project.